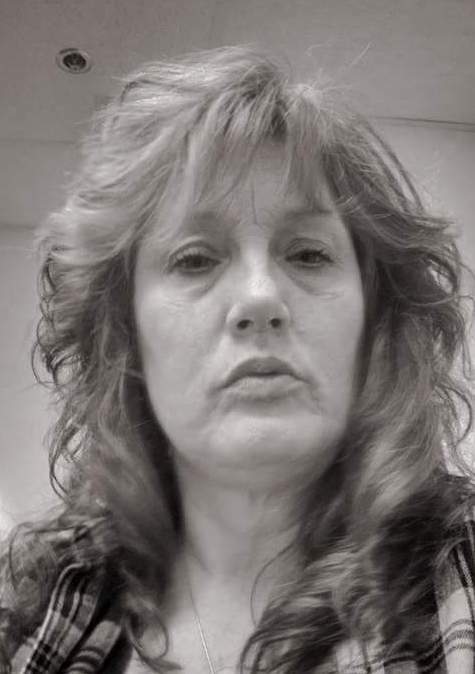 Kerry Sue Frye, 49, of Fremont, OH passed away on March 23, 2018 at the Cleveland Clinic. She was born on May 21, 1968 in Oregon, OH the daughter of William Ross and Lillian (Aldrich) Hahn. She was 1986 graduate of Gibsonburg, High School. Kerry enjoyed crocheting, animals, cooking, gardening, canning and racing. Her true love though was spending time with her family especially her grandchildren. Kerry also enjoyed traveling to Tennessee with Cecil. She was very involved with her children’s 4-H and enjoyed the fair. Kerry is survived by her children, James “JR” Boatman, Port Clinton, OH, Kodi Frye, Katie (Joseph) Henry, Mickey Frye all of Fremont and Laci Woolf, Carey, OH; mother, Lillian Hahn, Gibsonburg; brother, Ken (Robin) Hahn, Oregon, OH; grandchildren, Malakai, Jourdyn, Trenton, Bentlee, Elianna and Blaize and companion, Cecil Venable, Fremont. She was preceded in death by her father, William Hahn. Visitation will be on Wednesday, March 28, 2018 from 2 to 7 p.m. at Wonderly Horvath Hanes Funeral Home and Crematory, 425 E State St., Fremont, OH with a celebration of life service following at 7:00 pm at the funeral home. We are sadden to hear of your loss of Kerry. We will have you in our thoughts & prayers during this difficult times.Rember the good memories you have of her knowing she is in Gods hands now. R.I.P. Miss Kerry. So sorry to hear this. Kerry will not be forgotten in any way. She was a special lady. Prayers for all comfort. My heart goes out to the family. I still hold on to child hood memories, we were like sisters at one time in life. Praying that God comfort your hearts. Kerry Sue you are gonna me missed by all, your Mom, your brother, your kids and grandkids, and family, and friends. You were a very special niece. Your free from suffering Kerry, fly high with your Dad and the rest of the family in Heaven. I love you and love all the ones in Heaven. We will never forget you Kerry. Love to the rest of the family here on earth. Till we meet again my heart is with you always. RIP Kerry Sue. I’m so sorry for your loss!! Kerry was an amazing genuine loving person and she will be forever missed!! prayers to all!! Me and katie has been friends sense junior year in high school. I remember always going to kerry house as teenager. She always welcomed me into her home and treated me as one of her own kids. She was a good women, and i will certainly miss her. I always want to say sorry for your loss Lillian, katie, jr, kodi, and laci. Sorry to hear about Kerry!! I always enjoyed talking to her. May God comfort you all at this time.